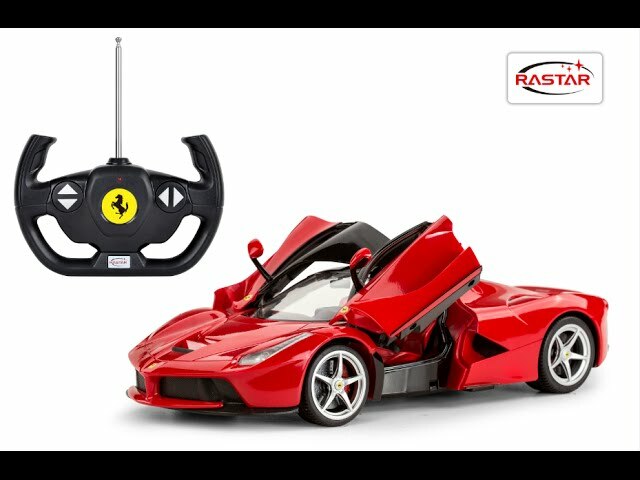 https://www.buydirect4u.co.uk/product/toys-games/ferrari-114-scale-remote-control-car-red/ 12517 Ferrari 1/14 Scale Remote Control Car – Red https://www.buydirect4u.co.uk/wpcms/wp-content/uploads/1970/01/Remote-Control-Ferrari-1-14-Scale-01.jpg 22.99 22.99 GBP OutOfStock /Toys & Games /Toys & Games/Remote Control /Toys & Games/Remote Control/Remote Control Cars Ferrari has always been at the forefront of the automotive industry and this 1/14 scale remote control car in the classic red colour is just a probe of that. It is not only a beautiful replica of a legendary ‘Cavallino Rampante’ - the Ferrari nickname - but it is also a great gift for children and adults alike. Some details, like its working headlights or the possibility to open its doors, will surely make everyone look at this little gem amazed and stunned. Ferrari has always been at the forefront of the automotive industry and this 1/14 scale remote control car in the classic red colour is just a probe of that. It is not only a beautiful replica of a legendary ‘Cavallino Rampante’ – the Ferrari nickname – but it is also a great gift for children and adults alike. Some details, like its working headlights or the possibility to open its doors, will surely make everyone look at this little gem amazed and stunned.